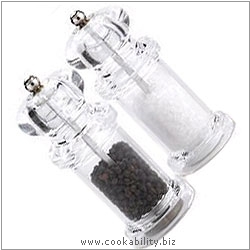 Salt and Pepper mill accessories. Adjustable grind. Each supplied full.